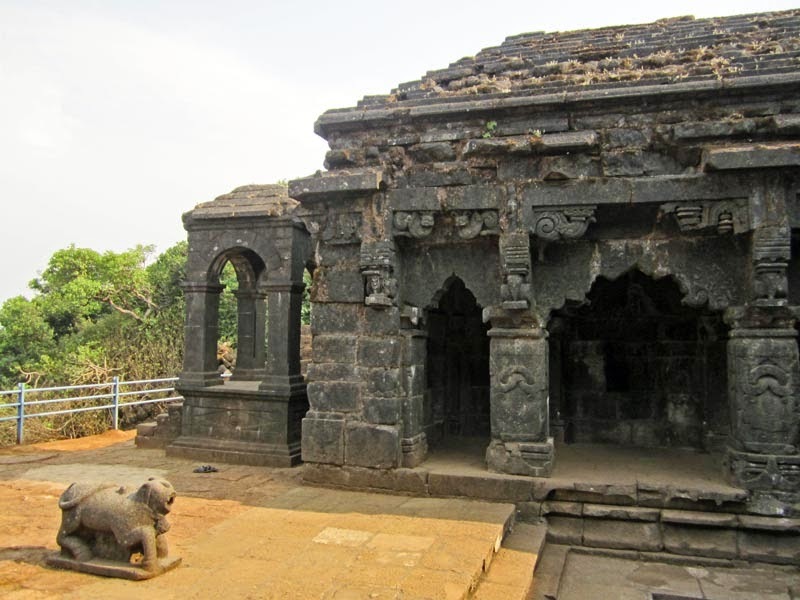 These are photographs of the Krishna Temple or Krishnabai temple in Old Mahabaleshwar. It is more than 7 centuries old, and was built by King Singhan of Deogiri. He built it at the source of the Krishna river. The temple is ancient and partly in ruins but it is well maintained. It overlooks a steep cliff from where one can get a lovely view. Amazing that despite being exposed to high winds and rain it still maintains its original shape. 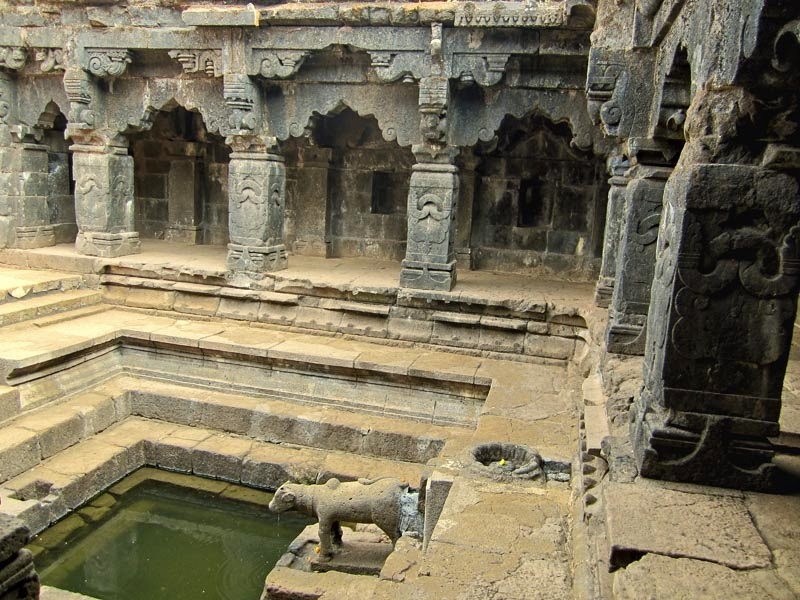 There is a small pond in the courtyard of this ancient temple into which the waters of the Krishna river fall (from the mount of the Nandi). 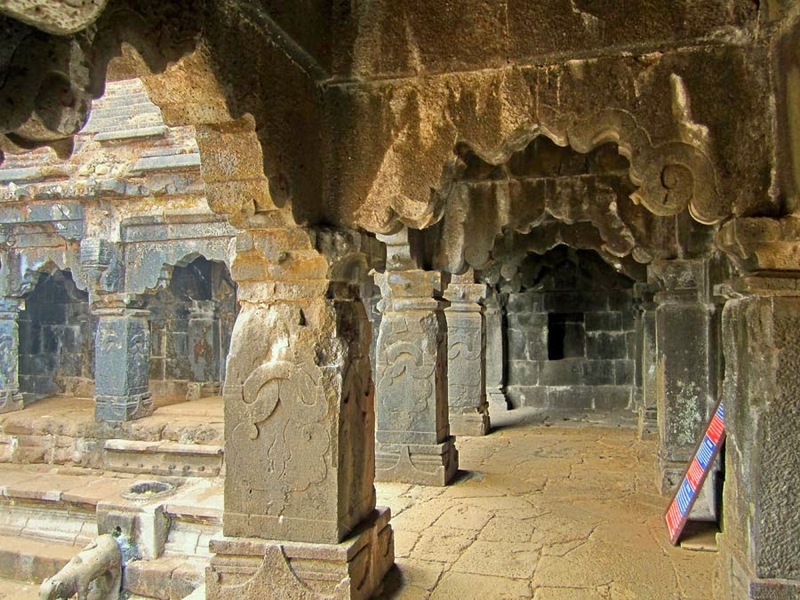 In this photographs you can see the carved stone pillars. Every part of this temple is beautifully carved. Another view of the temple's open corridors and the carved pillars. The ceilings are also carved and these will be shown in another post.